The story: Ex-con Scott Lang reluctantly agrees to a house robbery after getting out of prison, only to discover the house’s owner, Hank Pym, set up the theft as a way to audition Scott for the job of becoming Ant-Man, wearing Pym’s suit with the technology to shrink Lang to minuscule size. Pym enlists Scott’s help in a plan to steal similar tech from Pym’s former colleague, Darren Cross, who wants to militarize and sell the shrinking technology. Aided by Pym’s daughter Hope, they launch a plan to break into the company seize Cross’ prototype, and blow up the building, only to end up battling Cross, who has perfected what he calls the Yellowjacket suit. As the building implodes, a pitched battle erupts between Lang and Cross, the latter taking Scott’s daughter hostage, before Scott manages to kill Cross by sabotaging his suit, almost disappearing himself in the process. Noteworthy events: Scott’s run-in with the Falcon at an Avengers facility is what brings him into the fold for the events of Captain America: Civil War. 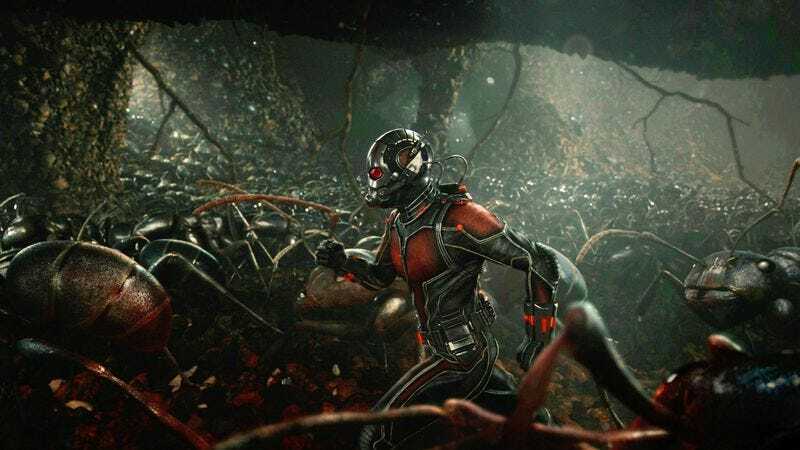 At the end, it’s revealed Pym also built a suit for his daughter, setting up the sequel, Ant-Man And The Wasp.